This booklet is an effort to highlight some of the interesting aspects of the Baha’i Faith as is taught or known to us. In this booklet we will discuss some important aspects of Baha’ism that every individual who is a Baha’i, or is interested in the Baha’i faith should know. This booklet contains many questions and is answered appropriately in brief, in order to do justice to the questions. Readers are requested to read the full booklet and ponder over it and investigate more about the Baha’i faith and find the truth. Question 1 Is the equality of men and women practised by the Baha’i Faith? 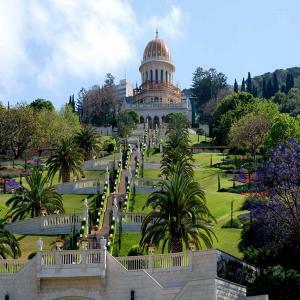 Question 2 Are Israelis / Jews permitted to adopt the Baha’i Faith ? Question 3 Is the Baha’i Faith a universal religion of peace and tolerance? Question 4 Is the Baha’i Faith a religion of unity,and devoid of sects ? Question 6 Is the Baha’i Faith profoundly spiritual? Question 8 Is the Baha’i population a little exaggerated ? Question 9 Did Baha’ullah have several wives? Question 10 Does the Baha’i faith respect non Baha’is? The book can be downloaded from here .